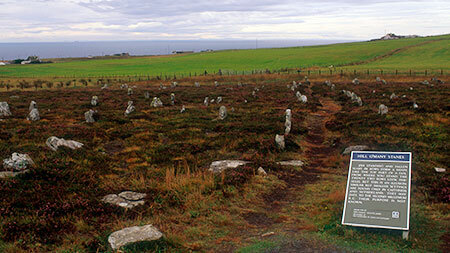 Behold the strange sight of about 200 stones erected in more than 22 rows on hillside moorland. The Hill o’ Many Stanes consists of about 200 small stones arranged in rows running down a low hill. They were erected about 4,000 years ago, possibly for gatherings and religious ceremonies. Large arrangements of stone rows like this are rare, and comparable sites are only found in a few places in Europe. Whatever the purpose of the stones, it’s clear that they were carefully planned. Considerable time, effort and organisation must have been expended by the community to make them.